Here’s hoping Nassir Little got lots of good guidance. 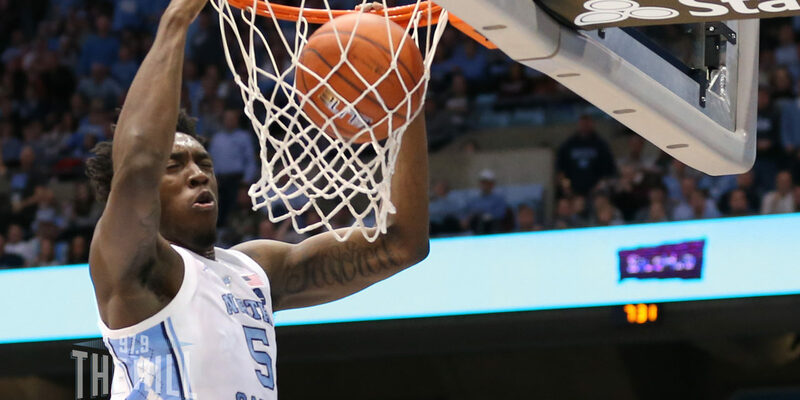 When the freshman forward announced he was turning pro two days after returning from Kansas City with the Tar Heels, I found myself hoping he had the time to get as much information as possible and wasn’t making a decision based on bad advice. Usually, Roy Williams canvasses the NBA general mangers he knows to learn if his players will get drafted as high as they are rated on the various mock draft boards. NBAdraft.net currently has Little at No. 7 in the first round. Fellow freshman Coby White is the projected fifth pick and is likely to go, too. Mock drafts very often have players, especially freshmen, rated higher than they are eventually drafted. They can drop after working out for pro teams, or foreigners can sneak into the first round and push the higher ranked players down. Hopefully, Little will remain a lottery pick in the top 14 on his raw potential alone. Underclassmen who are chosen No. 15 to 25 are in no-man’s land because most of them could probably improve their draft status by staying in school for more experience and coaching on the nuances of the game. Players picked late in the first round are really rolling the dice since there isn’t that much guaranteed money for the first two years, and if their NBA teams don’t pick up the third and/or fourth-year options, they could find themselves without bargaining power as free agents and on their way to Europe. Tony Bradley is a great example. Picked No. 28 in the first round after spending his freshman season as a sixth man for the national champion Tar Heels, Bradley has played in 10 total games for the Utah Jazz in two years and is definitely headed for free agency. Had he gone against his father’s wishes and stayed at UNC as a sophomore, he would have been a starter and probable lottery pick for a team that might have made it back to a third straight Final Four. Little will likely be drafted higher and get more money, but when and how is he going to improve as a basketball player? The one advantage is he can get coaching in the NBA summer league, but if he doesn’t earn playing time on the big team, he could wind up like Bradley in the G-League and better off having stayed for one more season as a college starter and to help him and his game get ready. First-round money is into the millions, but it won’t last forever.